Carex blanda perennial sedge, 20-60 cm, tufted, appearing somewhat coarse, green to pale, waxy-green with a slightly fleshy texture, stem triangular, angles slightly winged, rough, base brownish, often becoming prostrate in fruit. 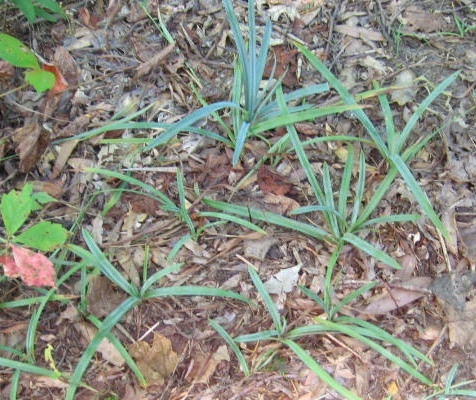 Leaves 3-ranked, those of non-flowering shoots to 1 cm wide, often waxy, pale green; inflorescence bracts leafy, often longer than inflorescence, base sheathed. 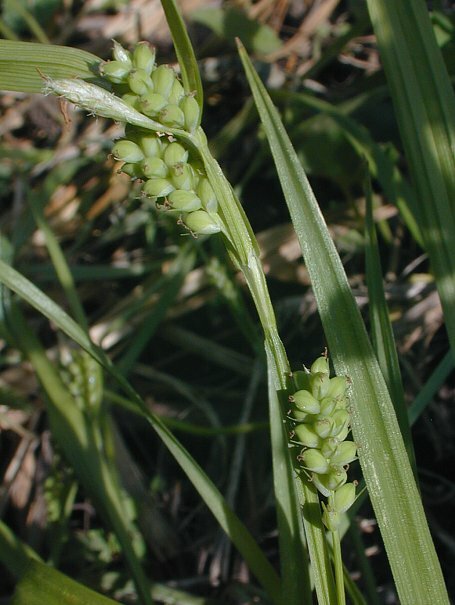 Carex blanda..John Hilty.www.illinoiswildflowers.info.jpg (Accessed 12/2014). Flower spikes with male (staminate) terminal spike 1-2 cm long, whitish, slender; female spikes 3-4, 1.5-2 cm long, sometimes crowded under male spike, never basal; perigynia (sac enclosing female flower) 0.3-0.4 cm long, 2-ribbed and many veined, bluntly 3-sided, widest above middle, tapering to narrow base, beak small, tip slightly bent over, without teeth; overlapping, crowded; scale below each flower pointed to short-awned; achene (fruit inside perigynia) 3-sided (trigonous), style swollen, somewhat persistent (as ant dispersed elaiosome? ), 3 stigma lobes; blooming and fruiting May-June. 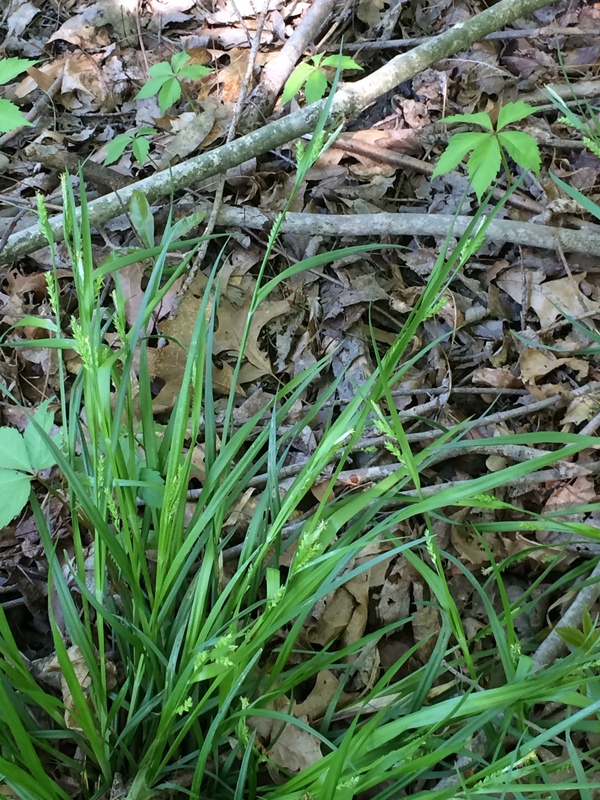 Habitat: Moist to dry, often disturbed, woods, shady lawn edges, soil pH 4.4-7, tolerant of fire, shade and anaerobic soil, intolerant of salt and drought (USDA, NRCS 2010).